Without the critical element of professional transport and warehousing logistics goods would not move from supplier to buyer and ultimately to the end customer. Warehousing and Transportation Logistics: Systems, Planning, Application and Cost Effectiveness provides insights to understand the systems, planning, and implementation of transport and warehouse logistics, supported by practical guidelines and tools. 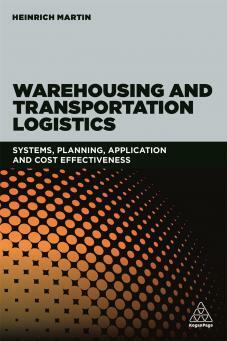 Publishing on 3rd April 2018, Warehousing and Transportation Logistics: Systems, Planning, Application and Cost Effectiveness does not just contain specialist knowledge for students of technical subjects, but it also serves as a practice-oriented book for the planning of bachelor and master degree theses, with a multitude of useful information and ideas. It is also a workbook for professional practitioners, production, planning and industrial engineers, who are specifically concerned with the planning side of this specialist area. Prof. Dr. Lothar Schulze, of Universität Hannover praised the book, saying, Concise and clear, the book conveys the key components of transport and warehousing logistics. The practical examples illustrate the connection between technology and organization.